"Accurate, well-written, and devastatingly important." Meticulously researched and tightly argued, "Beyond Chutzpah" points to a consensus among historians and human rights organizations on the factual record of the Israel-Palestine conflict. 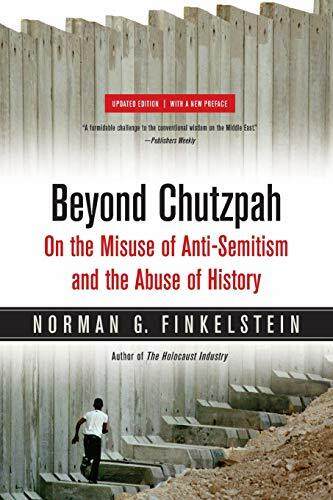 Norman G. Finkelstein exposes the corruption of scholarship and the contrivance of controversy shrouding human rights abuses, and interrogates the new anti-Semitism. This paperback edition adds a preface analyzing recent developments in the conflict, and a new afterword on Israel's construction of a wall in the West Bank.